What Is Myrcene And Why Is It Important? Myrcene is one of the major cannabinoids found in cannabis. It’s very useful and has many health benefits of its own which contributes to the medicinal properties of specific strains especially those that contain high amounts of this terpene. 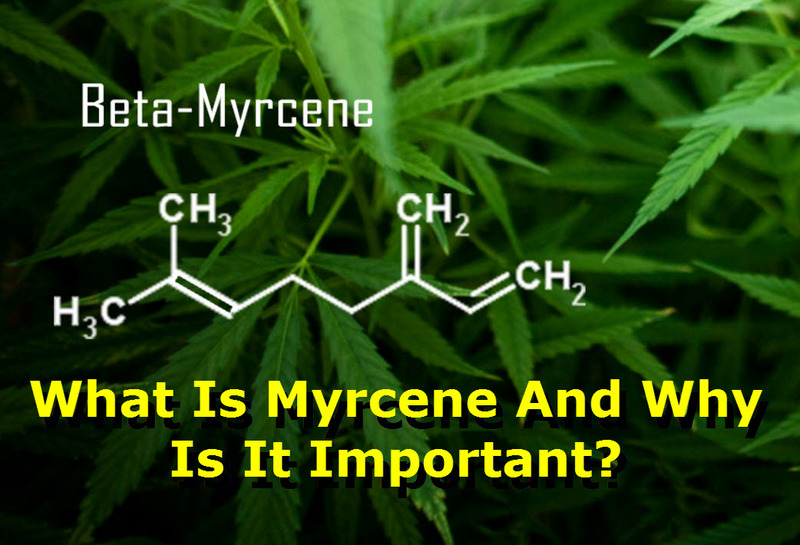 Myrcene is present not only in cannabis plants, but in hemp as well. But the one plant that contains the highest concentration of myrcene is mangoes, followed by several herbs and plants including laurel, rosemary, and hop. Herbs and cannabis strains that have high levels of myrcene have a delicious aroma resembling that of mangoes, mint, citrus, and fruity. In large quantiites though, myrcene can give off an unpleasant scent – similar to the hop aroma found in beer or pungent strains of weed. Myrcene is used as raw material for manufacturing many different kinds of fragrances. Myrcene actually gets its name from a medicinal plant in Brazil known as the Myrcia sphaerocarpa, which has been used as a folk remedy for the treatment of conditions including dysentery, diabetes, diarrhea, and even hypertension. What Are Terpenes and Why Do They Matter? - Natural Cannabis Co.